384 - Midnight blue gloss front and gold sides and graduated lenses. 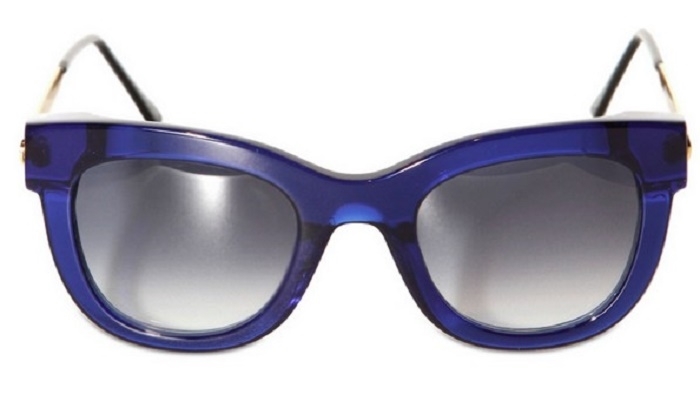 The Thierry Lasry 'Sexxxy' are a subtle squarer catseye. Made using the highest grade vintage Italian acetate. Handmade using traditional techiques in France to the highest standards. The style like all of Thierry Lasry frames celebrates the marriage of bygone era's of fashion to create a present day understated high glamour look in this instance. With the contrast of the gold bar arms against the high gloss midnight blue is a statement of luxury as standard with all Thierry Lasry frames. The stylish sophisticated look is favoured by the Celebrity circles and A list alike. Walk your own path in this gorgeous frame.